You're going to need some help if you want to switch from the current array of ports to USB-C and Thunderbolt 3. If you put in an order for a new MacBook Pro, welcome! You’re about to enter a brave new world, one where all your ports look the same as each other but remain totally different from every other port on whatever laptop you were using before. It’s not just the MacBook Pro making this transition. 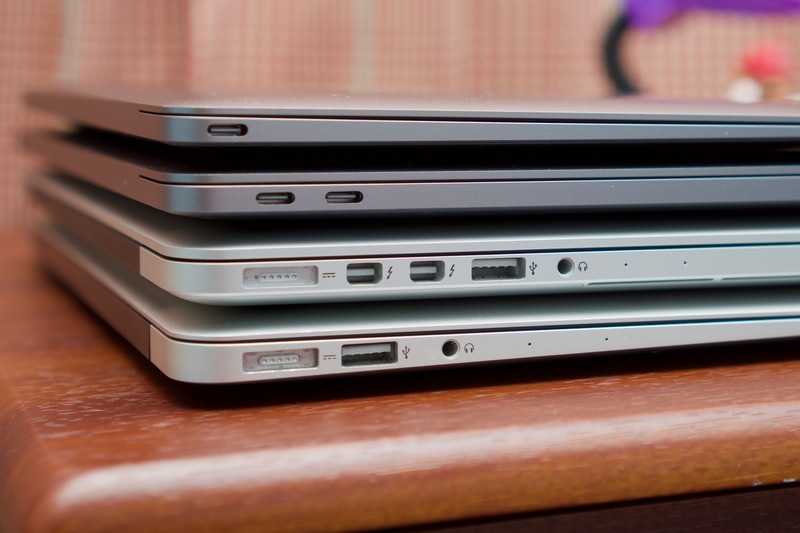 More and more laptops and phones are either including a USB Type-C port or switching to it entirely, and, going forward, this standard is going to get even harder to avoid. We’ve been big fans of the technology’s potential since before we even knew what it would look like. And while in practice it has created more than a little confusion, it should still be an improvement over the jumble of ports that we’ve had to live with previously. That said, the future looks brighter than the present, especially if you happen to have a phone or tablet or laptop that completely forgoes all other ports in favor of USB-C. Dongles, adapters, and new cables will easily be the norm for the next half-decade or so until everyone catches up, and it’s frustrating to have to dig through piles of Amazon listings to find stuff that will get the job done. The list below won't cover every possible use case for USB-C, but it should at a bare minimum help you replace all the ports on your old MacBook Pro. It represents an unexpectedly large amount of research and comparison shopping, not just for cables and adapters that will work with both USB-C PCs and Macs, but also cables and adapters that will do so without breaking your stuff or creating fire hazards. Enlarge / Monoprice's four-port USB-C to USB-A hub. Is there an official adapter? Yup. Apple sells a simple white USB-C to USB-A dongle for $19, and it will be $9 until the end of the year. The company’s VGA and HDMI display adapters also include a single Type-A port for convenience’s sake. What else is there? This is by far the most common type of adapter people are going to need, and lots and lots of companies have stepped up to answer the call. If all you want is a little one-port nub, there are plenty of no-name adapters you can grab on Amazon, and they’re often in a two-pack (handy for when you inevitably lose one). These from Rankie will run you $8 and they’re well-reviewed, and I use this one from Nonda because it’s aluminum and comes in different finishes that match the various MacBooks. If you want to turn one USB-C port into multiple USB-A ports, Monoprice sells a four-port USB 3.0 hub for $17 and a seven-port version of the same hub for $27. These are great for accessories like printers or webcams but less great for high-speed data transfers, since all of those ports are effectively arguing over the bandwidth provided by a single USB 3.0 port. These dongles also only provide USB Type-A; some hubs that we’ll recommend later can also do other things. 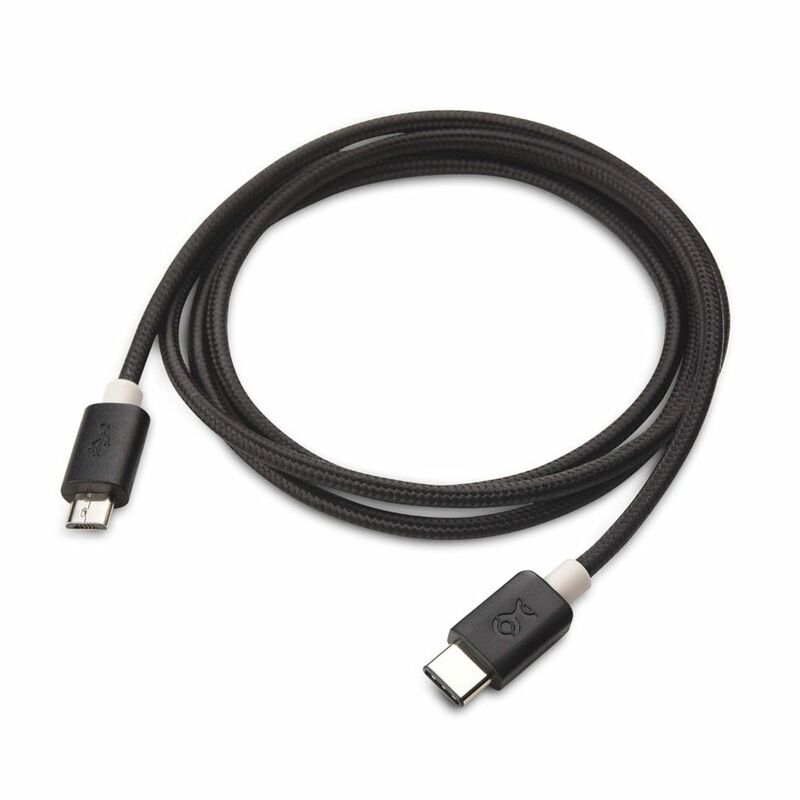 Cable Matters' USB-C to micro USB cable. The standard USB Type-A connector is the most common one on the host end, but the thing you’re plugging in will often use micro or mini USB (these are technically all part of the Type-B family of connectors, as is the larger one used for USB printers). Micro USB is the smaller of the two, and it’s nearly omnipresent in everything from Kindles to high-end cameras to smart home accessories to older and lower-end Android phones. You can use one of the USB-A dongles above with your current cables, but here are some other options. Is there an official cable? Not really; Apple virtually never used micro or mini USB (the service port on older Apple TVs is the only example I can think of). Apple will sell you Belkin’s version of the cable for a hefty $20 or $14 with the discount—it’s very Apple-like in aesthetics and in price. What else is there? This $7 3-foot cable from Cable Matters has USB-C on one end and micro USB on the other; a longer 6-foot cable costs $8. Reviews and the manufacturer’s product page indicate that this cable supports faster 5V/3A charging speeds, something that some other cables don’t do. If you don’t care about those faster charging speeds, Monoprice offers a similar cable in a variety of lengths and colors for a little less money. 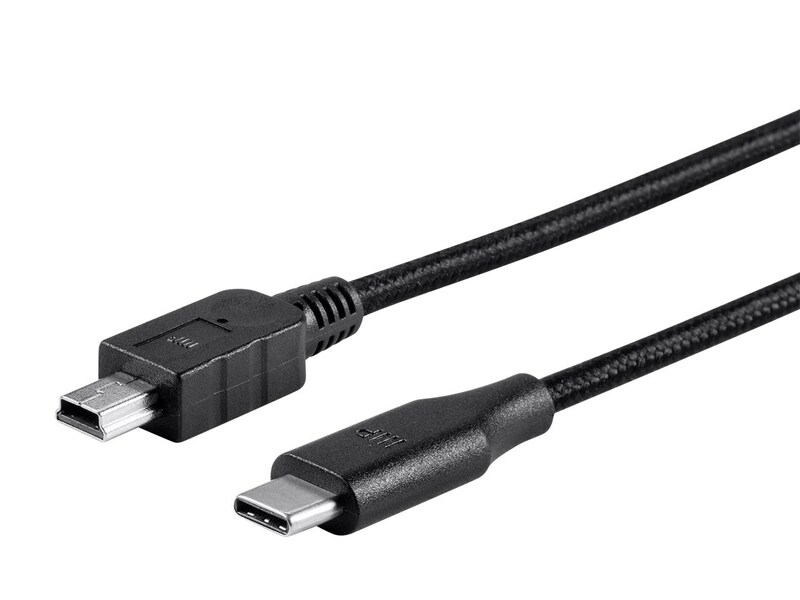 Monoprice also sells 3- and 6-foot USB-C cables that have the ugly, bulky “Micro-USB 3.0” connector on the other end. This connector cropped up in some slim external hard drives and very occasionally in phones. If, for whatever reason, you need to convert the other way—if you want to take a micro USB cable and plug it into a USB-C port—Anker sells a two-pack for $8. These have been verified as spec-compliant by Google engineer and USB-C cable testing vigilante Benson Leung. A mini USB to USB-C cable. It has become rare these days, but you’ll still sometimes run into the larger mini USB connector in DSLRs, external drives, and other accessories. Is there an official cable? No, and there’s not an Apple-blessed version of the cable in its online store either. What else is there? The same Cable Matters micro USB cable we recommended above comes in a mini USB version; right now both the 3- and 6-foot versions will run you $8. Monoprice has a 1.5-foot version for $4.49. Apple's Lightning to USB-C cable is the only one you should buy, for now. The brewing civil war between USB-C and Lightning is probably the most frustrating thing about Apple’s hardware ecosystem right now. Buy a brand-new iPhone 7 and a brand-new MacBook Pro today, and without an adapter or separate cable you won’t have any way to connect them to each other. The latest versions of all of Apple’s external mice, trackpads, and keyboards all charge via Lightning, too. Is there an official cable? Yes. Apple sells both 1m and 2m versions of the Lightning to USB-C cable for $25 and $35 respectively, or $19 and $29 with the discount. 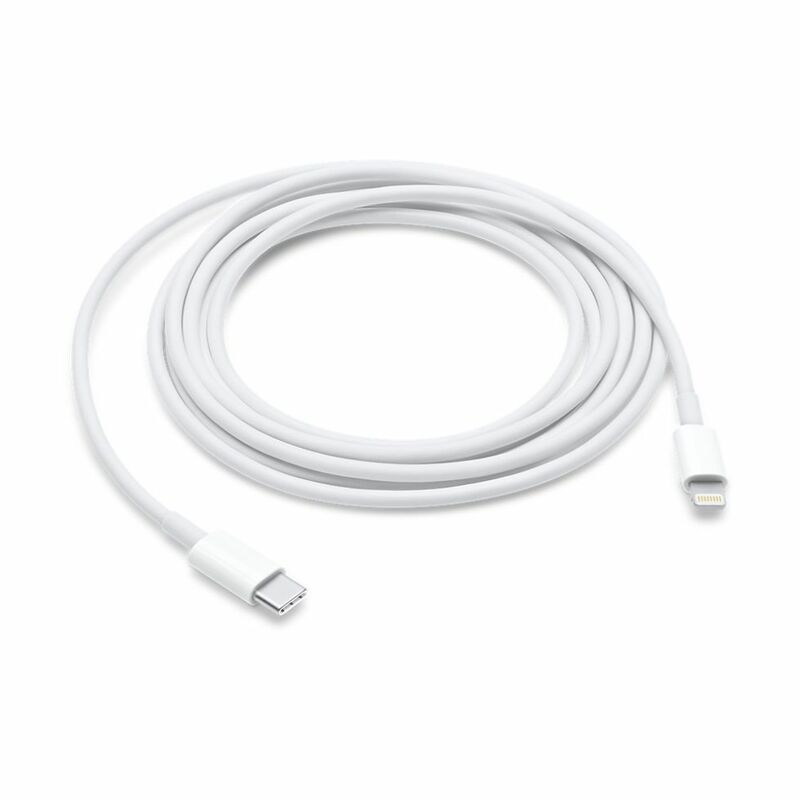 This is expensive, but Apple gave me one of these with our MacBook Pro review unit, and the good news is that these cables are much thicker and sturdier than the USB-A to Lightning cables that come with iPhones, iPads, and other peripherals. They should be less prone to fraying than the old cables, and hopefully once Apple starts including USB-C to Lightning cables in the box with iPhones and iPads they’ll feel similarly sturdy. What else is there? Again, there are lots of small- and no-name companies out there rushing to capitalize on this brand-new market that Apple has created, and Amazon is flooded with options of questionable quality. Fortunately, we have an easy litmus test to tell probably fine cables from possibly not fine ones, and that’s Apple’s MFi certification program. As of this writing, none of the USB-C to Lightning cables listed on Amazon appear to be MFi-certified, and relatively reliable and respectable companies like Anker, Monoprice, and AmazonBasics don’t offer them either. Not only does this mean that the cables may not comply with Apple’s specs, but your phone or tablet may yell at you for using non-compliant accessories. Honestly, you probably already have a bunch of Lightning cables sitting around—your best move in this case is to continue using those cables with a USB-A to USB-C adapter when you need to plug one into your MacBook or MacBook Pro. It’s annoying, but if you don’t want to pay Apple’s prices, it’s the safest possible option right now. You don’t want to mess around when you buy cables or adapters that you rely on for charging, and I can’t stress this enough—bad ones can damage your devices and be serious fire hazards. It ain't pretty, but this VGA and HDMI dongle will connect your stuff to most monitors. Are there official adapters? Yes. Apple provides separate HDMI and VGA dongles for $69 each, or $49 with the current discounts. 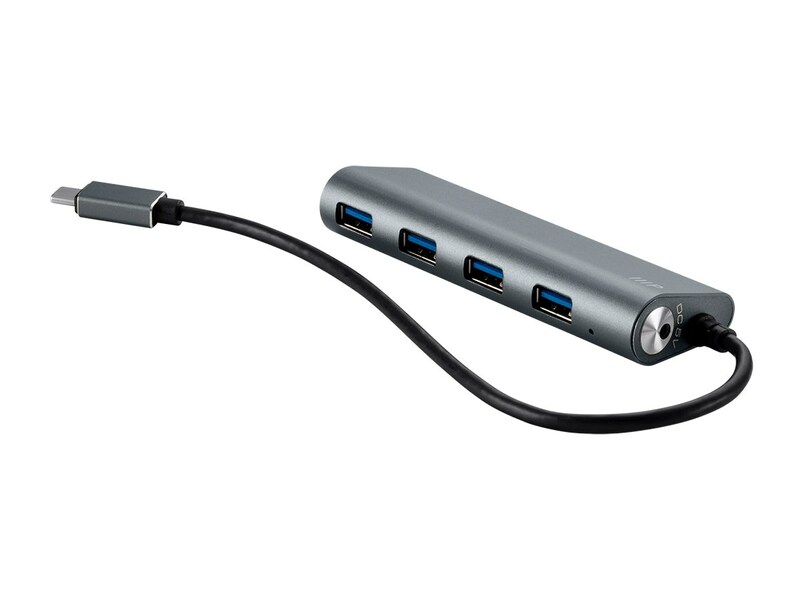 These also include a single USB-A port and another USB-C port that can be used for charging—not something you’ll necessarily need for the MacBook Pros, but handy for the one-ported MacBook. Just note that none of these laptops will be able to drive a 4K display at 60Hz over HDMI. You’ll still need to use DisplayPort for that. What else is there? Let’s start with DisplayPort, since those ports are still the only way to do 60Hz 4K. Cable Matters sells a $29 cable that will run directly from a DisplayPort-enabled USB-C port to a monitor, taking advantage of USB Alternate Mode to carry a native DisplayPort signal over the cable. Google will sell you one for $40 that works just fine with Apple’s stuff, if you’d be more comfortable with a bigger brand name. If you’d rather use an adapter for an existing DisplayPort cable, Cable Matters will sell you one of those for $20. Things get trickier if you’re looking for something to go from your USB-C port to a Mini DisplayPort adapter or cable. Amazon reviews for the products that do crop up are mostly mixed to nonexistent. Odds are your monitor uses a full-size DisplayPort for input rather than mini DisplayPort, so if that’s the case we’d recommend you just replace your cables rather than messing with mini DisplayPort adapters for your current cables. As for VGA and HDMI, Cable Matters will sell you an ugly-ish but well-reviewed and functional dongle that provides both of those connectors plus USB-A and gigabit Ethernet (the Ethernet will work fine without extra drivers in Windows but “may” need drivers under macOS, which is common with USB Ethernet dongles). Aukey has a standalone VGA dongle for $16 and a standalone HDMI dongle for $20. 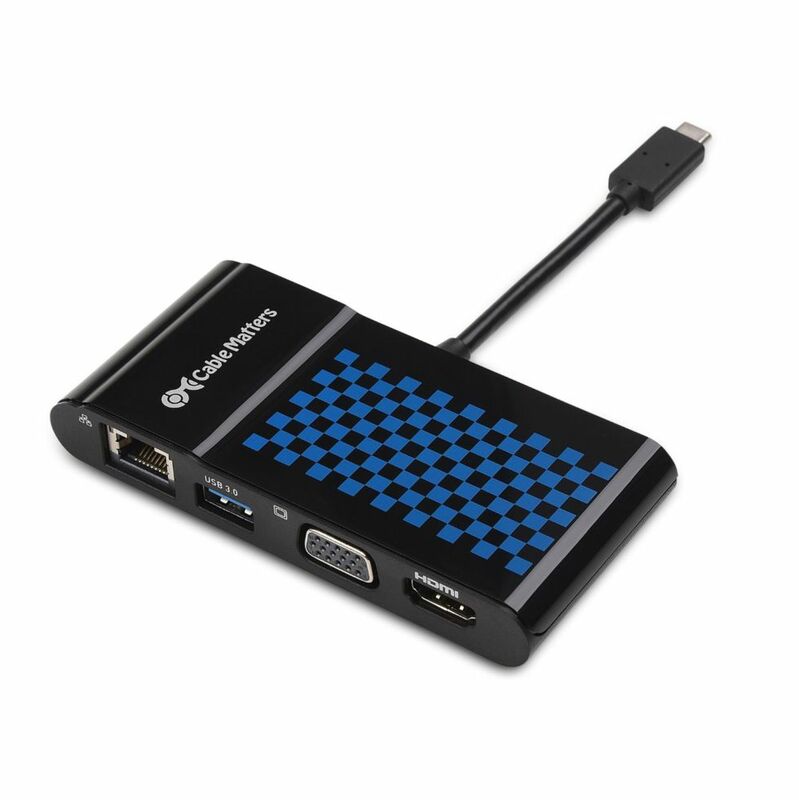 And while USB-C to DVI connectors are less common than the others, CableCreation has one available for $19 (its VGA and HDMI adapters are also $16 and $17, respectively, they just don’t look quite as Apple-y as the Aukey versions).